The national carrier of the Kingdom of Bahrain, Gulf Air, announced recently the appointment of a new Chief Commercial Officer, taking up the role is Vincent Coste. Mr Krešimir Kučko, the Chief Executive Officer of Gulf Air welcomed Mr Coste to his new post along with the good wishes of the rest of the board. Coste comes with a wealth of aviation business experience, having spent 25 years in various commercial roles with airlines in the Europe, Americas, Middle East and Africa. 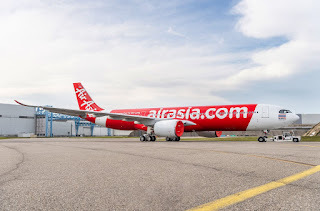 His most recent post was as Chief Commercial Officer of Kenya Airways where he spent the last 2 years establishing a new business model for the airline, to develop and grow. 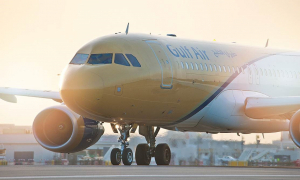 Mr Coste joins the Gulf Air management team at a significant time of change for the airline, earlier in 2018 the executive management of the carrier stated that 2018 was the #YearOfChange for the airline. Some of the changes include new livery, new fleet, new uniform, new destinations and a new strategy. By end of 2018, the airline is scheduled to receive 5 Boeing 787-9 Dreamliners and 1 Airbus A320neo aircraft in total. The new Dreamliners will be put on Gulf Airs double daily London Heathrow service as well as the flights to Casablanca. These latest additions to the fleet will enhance the on-board products and services the airline can provide.